THE buildup to every television season starts out like the buildup to the Kentucky Derby: the field is just a herd of unknown horses until the smart talk picks out the favorite. The smart talk has started early this season, among advertisers in New York, agents in Hollywood and executives at every television network: a new Fox drama, ”24,” is the hot show to watch. 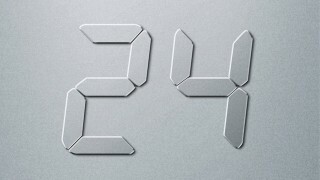 With a kicky, highly original format — a thriller that will play out in 24 episodes, each representing an hour of a day run off in real time — and a crackerjack pilot that had many viewers asking immediately to see the second episode, ”24” is already the most anticipated new show of the season. Like the reality shows that have commanded audiences by simply looking so different from everything else on television, ”24” is grabbing attention by shaking up the conventions of television storytelling, creating a show in which, in concept at least, every minute counts. The momentum behind the series is evident in the deep strategizing going on inside Fox to guarantee that the show has a strong start, and the equally deep strategizing inside rival networks about how to derail this potential prime-time express train. The theory is that the same real-time format that makes the show so exciting is also what makes it potentially vulnerable. The story line of ”24” will trace the efforts of a C.I.A. 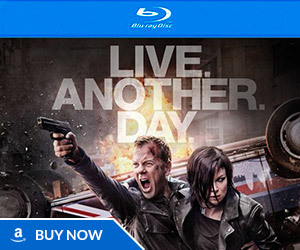 agent, played by Kiefer Sutherland, to thwart a plot to assassinate a presidential candidate. Each episode will sequentially cover one hour of the agent’s day, with the first starting just after midnight. ”If we can get people to miss the first two or three hours, who is going to want to join a show to see what’s happening to this guy at 4 a.m.?” the rival network executive said. But television shows are not offered to viewers the same way they used to be: one shot a week to live or die. It is a multiplex world on television now, where, even with network shows, a prime-time slot may only represent a first screening. 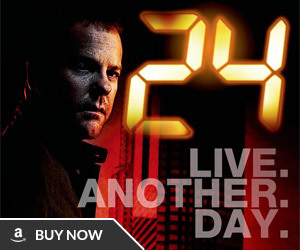 Fox executives have no intention of sending ”24” out just once to face whatever the other networks can throw against it. Fox is clearly planning to rely on ”repurposing,” the concept that the networks are increasingly using to squeeze the most juice out of episodes. That means finding a cable network to carry episodes of a series the same week they air on a network. 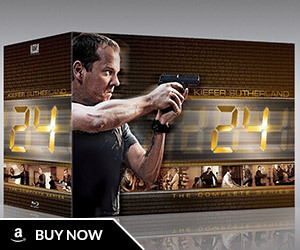 Fox, a unit of the News Corporation, has no such deal for ”24” yet but surely will by September, with its sister cable channel FX the probable venue. Still, Fox first faces one big decision: whether to start the show in September, to play into the expected swirl of attention that would be unleashed on ”24” in the wave of media previews of the fall season; or far later, in November, after the two solid weeks of post-season baseball that will appear on Fox. 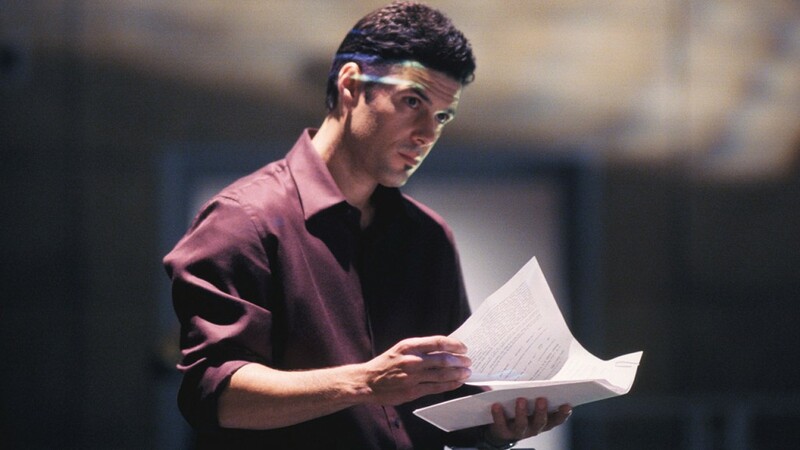 Whenever it starts, the show will inevitably be compared to a series in 1995 that tried to tell one story all season long, the late ABC effort ”Murder One.” That show, which followed a murder trial for a full season, may be remembered as a failure; but, in fact, it had a sensational start after being that season’s much-heralded newcomer. ABC made one fatal error. It scheduled ”Murder One” against ”ER” in the second year of that NBC juggernaut. ”Murder One” was done. Joel Surnow and Bob Cochran, the two long-time television writers who created ”24,” have repeatedly heard the ”Murder One” comparisons; naturally they see nothing but differences. 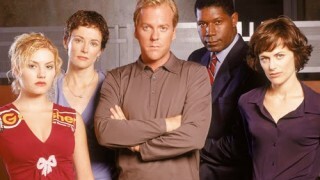 One comparison to ”Murder One” that is harder to dismiss is how ”24” can possibly pay off economically; it seems to have no chance to be repeated successfully, either on the network or in syndication. Mr. Cochran said he and Mr. Surnow had assured the Fox executives that the stories would ”contain some degree of closure” every week and would not always depend on pursuing the assassination plot alone. But will anyone watch episodes of an edge-of-the-seat thriller a second time? Fox seems to be avoiding the question, pointing first to money that can be made from the repurposing sale to a cable network and then to the foreign sales for ”24,” which one Fox executive reported to be among the best in the network’s history. That still leaves a final question: What happens in Year 2 of ”24?” Does the hero pull another all-nighter to save the country?